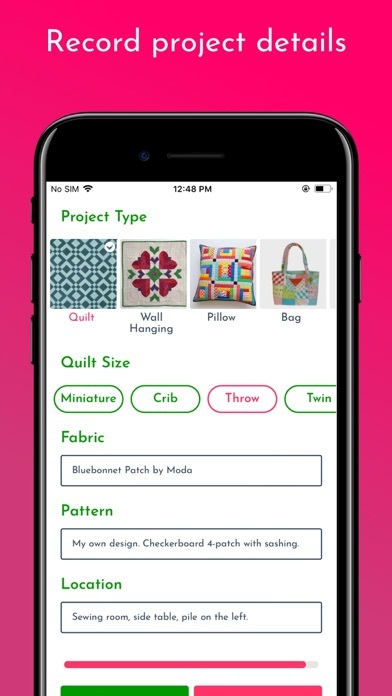 The Quiltful app helps you organize your quilting projects, so you can have more fun sewing! Many quilters have multiple projects in the works simultaneously. Keeping track of all these projects can be an overwhelming challenge that steals from the fun of quilting. If you've ever asked yourself … • Where is that picture I took of my quilt? • How many UFOs do I have? • Where did I put that project? • What pattern did I use? • What tops are ready to be quilted? … then this app is for you! 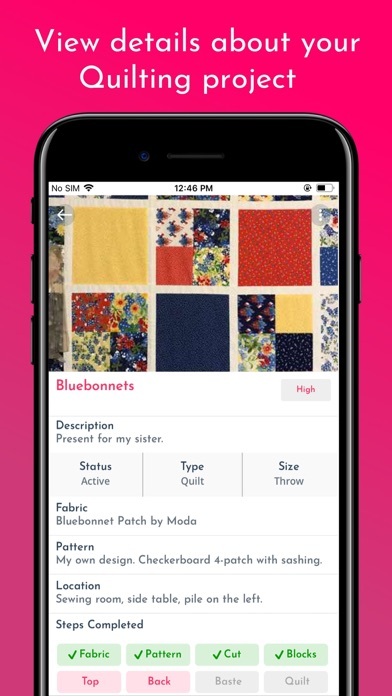 With this project organizing app made just for quilters, you can: • Organize your quilting projects • Search for your projects • Maintain records of quilts made • Upload multiple photos of each quilt • Add a description and notes about of your quilt project • Note the type of project and the quilt size • Record fabrics and patterns used • Log the location of the project while you are creating it and after it is completed • See the quilting steps you have already completed • Track your progress and plan for the steps to do next • View a summary of all your quilting projects, and their statuses, on one page • Access the app and your account’s data from different platforms We hope you find the Quiltful app useful and that it helps you organize your projects. The goal is to enjoy finishing those quilts! Please like us on Facebook to keep up with the latest Quiltful news. I have a Longarm business lots of UFO projects. I am using Quiltful to help me track both these areas. The app is easy to use and it’s free! Getting organized in my quilting world is so easy with Quiltful. I like this app. 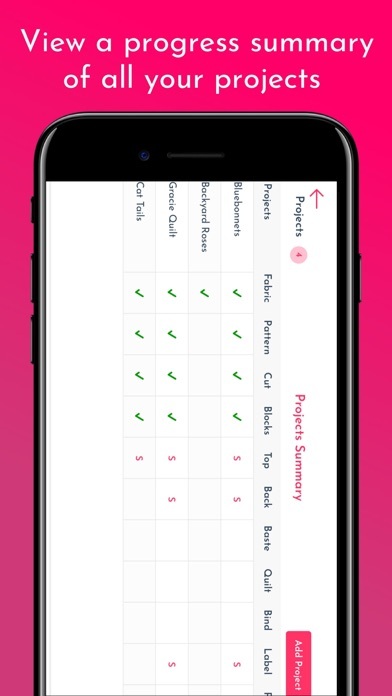 I would love to be able to add start and target end dates to the projects. My problem isn’t knowing about all of the UFOs, it’s about holding me accountable to completing them. 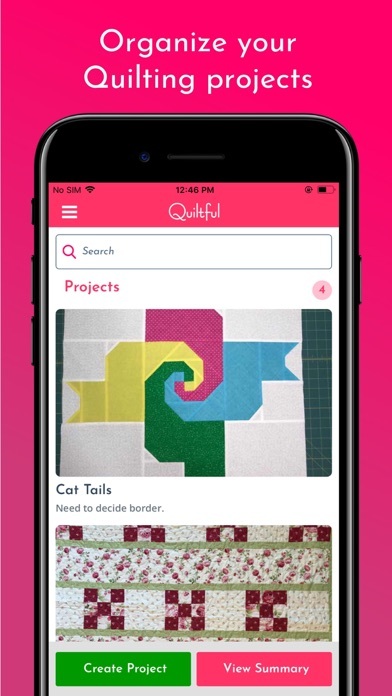 If this app had me set timelines, similar to Microsoft project but for quilting, I would get my UFOs done. But I really do like this app for what it does and that it’s free. As a quilter or 10 years, I have accumulated quite a few projects that are ongoing. I absolutely love that I can enter them all here, with a clear plan of what my plan will be for finishing. 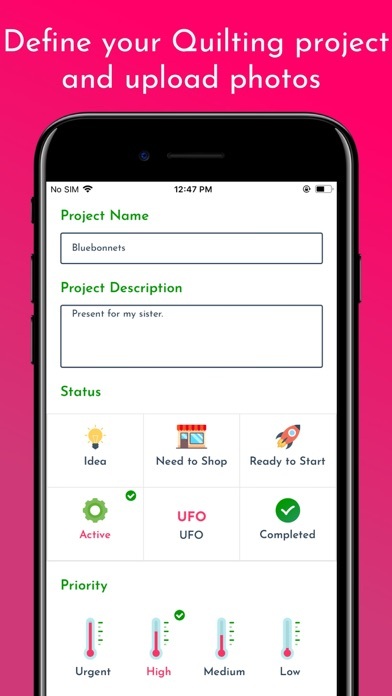 I love the visual cues of the boxes to check off — I love that I can search for all my UFOs at once — and my favorite part ever is “Location” so I don’t lose my project forever!! They’ve thought of everything! What a perfect tool!! I am a new quilter, but already find that I have so many ideas for different quilts that I want to do. I am NOT an organized person. 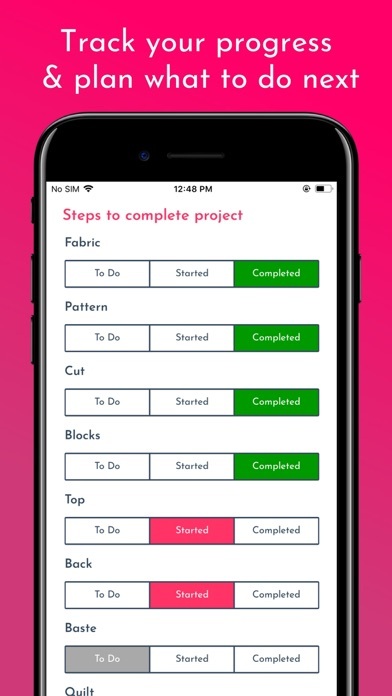 This app helps me to keep a description of my idea and pictures of my fabrics, as well as the status of each stage and location of each project. I am very pleased with this app! So far I haven’t found any issues, it seems very well thought out. Love it!